Red Dead Redemption fans are sure to be interested in a new Red Dead Redemption 2 map that has been leaked and first appeared on NeoGAF last week before being removed. 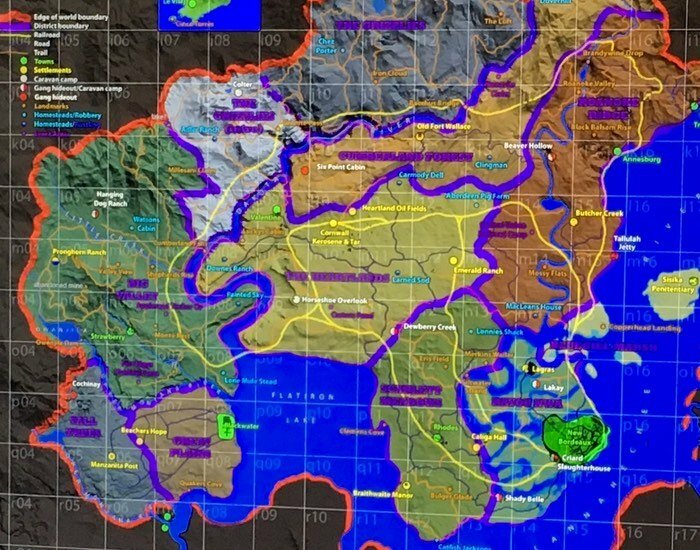 Luckily the TechRadar website posted a clearer version of the map after it had been verified by a source close to the development team. 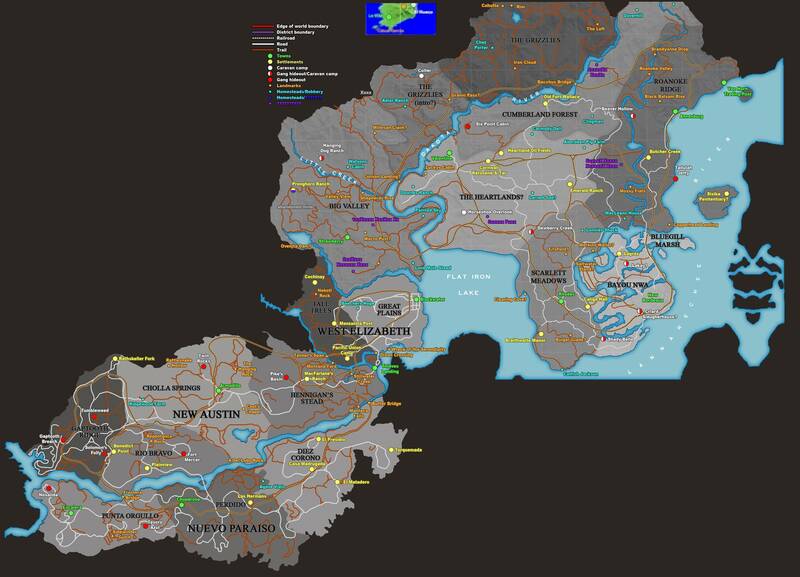 Below the map has been redrawn by fans to provide more clearer details about what you can expect from the Red Dead Redemption 2 gaming world, even though Rockstar has yet to even announce a Red Dead Redemption sequel is even in the works. It seems that areas from the first game will make a return in the form of the Tall Trees and Great Plains areas. Click on the map below for a clearer look at the Red Dead Redemption 2 world. As soon as more information is made available either by sources close to the action or officially via Rockstar we will keep you updated as always, but for now enjoy a first glimpse at the gaming world you can expect to enjoy when Red Dead Redemption 2 is officially announced and launched.